Zaafco is one of the best professional accounting firm offering bookkeeping, auditing, taxation, business advisory services across the country. They also offer outsourcing accounting services with help with their assistance, tax consulting and planning. Accounting system setup, Accounting software implementation, In house bookkeeping, Accounts preparations, Accounts audit (Internal/Statutory), Value added tax (VAT), Corporate and professional tax, Cross border business consultation. One of the subsidiaries of TCG is the Tokyo Consulting Firm Pvt Ltd. and in their clients list they have more than 50 japanese clients. TCF offers professional services in accounting, taxation, audit, legal services and IT services.TCF strives to provide a quality service to their clients and also working on develop a good relation between Bangladesh and Japan. Business setup,Tax service, Internal/Financial audit, Human resource. Hawlader Yunus & Co. (HYC) is a well-experienced company in Bangladesh. With a good experience they provide service in auditing, accountinghttp://hyc.com.bd/, taxation, VAT and corporate finance services. They also engaged in the financial audit of under government, public and private sector organizations. HYC also have good respect for providing taxation and outsourcing services. Audit & assurance, Tax, Vat & Legal Compliance, Outsourcing. Premier FM Heights, 1st Floor Suite-A1, House No-88, Road-10/1, Block-D, Niketon, Gulshan-1, Dhaka, Bangladesh. FM Consulting International is a well-reputed firm in Bangladesh. It provides Auditing, Accounting, Taxation, etc services with an expert team. They have another division named FM Associates which help you in law and financial services. They have highly skilled and experienced team which offer secretarial services also. Audit, Accounting, Taxation, Payroll, Licensing. Progress Tower, Level-3, House-1, Road-23. Gulshan-1, Dhaka-1212, Bangladesh. 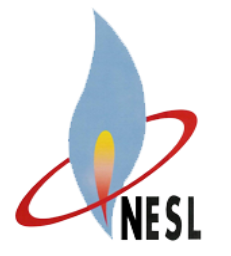 National Energy Service Limited (NESL) is a well-known accounting firm in Bangladesh. It offers a wide range of Advisory, Human Resource, Administrative support and consultancy. NESL has also good experience in supplying and managing services. Global Mobility, Payroll, Administrative, Advisory & Project Management. Mahful & Co. is the first registered accounting firm in the independent Bangladesh. It earns a very good reputation in the field of the accounting firm and provides a classy service to their clients. Audit, Tax Consultancy, Risk Consulting, Outsourcing. ACNABIN is one of the largest partnership accounting firm. And last 20 years it becomes a leading and well-reputed firm. ACNABIN experts in audit, accounting, outsourcing, technology solutions and taxation. They have good experience of working at home or abroad and locally or globally. Audit & Assurance, Tax And Legal Advice, Consultancy. National Plaza (3rd Floor)109, Bir Uttam C.R. Datta Road, Dhaka – 1205, Bangladesh. MJ Abedin & Co. is the competent, independent and reliable advisor who share their technical knowledge and skills with their clients in accounting, audit & assurance, taxation and other related services. They have the specialist to serve their clients. Auditing, Taxation, Due Diligence, Financial and Management consulting. S.F. 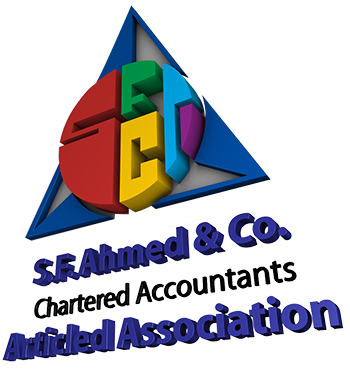 Ahmed & Co (SFACO) is recognized nationally and internationally as one best accounting firm. With a great experience, they provide auditing, taxation, accounting, advisory etc services.They also specialized in establishing companies and foreign firm branches. SFACO is the assistance firm of Ernst & Young and international, Inc of New York, USA, which is one of the top four company in accounting and management consultancy. Auditing, Tax and business advisory, Corporate secretarial service . AHSANDELL, 2/A, Mymensingh Road (2nd Floor) Shahbag, Dhaka -1000, Bangladesh. In the list of the oldest accounting firm in Bangladesh Pinaki & Company is one of them. They have many professionals and maintaining their reputation in the field of the accounting firm.They also provide a very good service to their clients. Auditing, Taxation, Business advisory, Outsourcing.